(VEN) - This year, the ‘GBA Oktoberfest Vietnam 2017’ will be held at Hotel Nikko Saigon, in Ho Chi Minh City, from Thursday the 21st of September until Saturday the 23rd of September (6.pm until midnight). 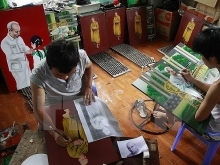 In Hanoi, the event will take place at the JW Marriott Hotel Hanoi, from Thursday the 5th of October until Saturday the 7th of October (6.pm until midnight). The ‘GBA Oktoberfest Vietnam 2017’ is the most unique event that creates an authentic Bavarian party atmosphere right here in Vietnam (experience the genuine atmosphere found in the massive beer halls of the original Oktoberfest in Munich, complemented by traditional German cuisine, premium German beer and authentic music from the Munich-based Anton Showband). The first Oktoberfest was held in 1992. Throughout the last 25 years, the traditional German atmosphere and spirit have increased, providing both Vietnamese and foreigners alike with a festive Oktoberfest experience. 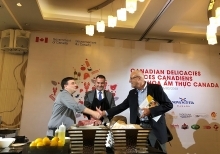 The ‘GBA Oktoberfest Vietnam 2017’, co-hosted by the German Businesses Association (GBA), the Delegate of German Industry and Commence in Vietnam (GIC/AHK Vietnam), JW Marriott Hotel Hanoi, and under the patronage of the Embassy of the Federal Republic of Germany in Hanoi, promises to be a memorable festival and this year’s highlight of the German social calendar. Marko Walde, Chairman of the GBA and Chief Representative of GIC/AHK Vietnam said: “The ‘GBA Oktoberfest Vietnam 2017’ is the highlight of our social event. It is a get-together of the German, Vietnamese and international business communities, to celebrate this event with their colleagues and partners in Vietnam. We do wish all our guests a cheerful and relaxed time, and hope that the ‘GBA Oktoberfest Vietnam 2017’ will be a kick-off to new partnerships for them as well”. “There is no doubt that JW Marriott Hanoi is definitely the best and biggest venue in Hanoi, with the stunning scenery to host one of the most successful events, highlighting the detail-oriented services provides from our experienced chefs. In our 4th year, our team will continue to serve a variety of Bavarian specialties typically associated with Oktoberfest including German Sausages, Pretzels and of course - a mug of cold beer; along with fun games and prize draws”, said Mark Van Der Wielen, General Manager at JW Marriott Hotel Hanoi. 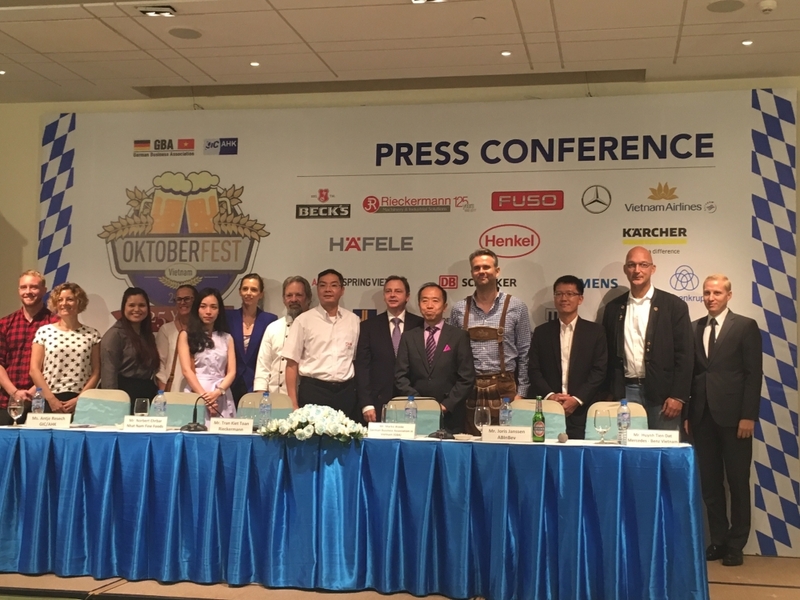 ‘GBA Oktoberfest Vietnam 2017’ has attracted various official sponsors including following prestigious companies and brands: ANDRITZ HYDRO, BECK’S, Mercedes-Benz Vietnam, Rieckermann, Henkel, DB Schenker, Deep C Industrial Zones, Eleganz Furniture Vietnam, Häfele Vietnam, Kärcher, Siemens, thyssenkrupp, BAUER Vietnam, Deutsches Haus Ho Chi Minh City, M+W Group, Shimizu Vietnam, Family Medical Practice, Jägermeister-Tan Khoa, Nhat Nam Fine Foods, and Party Inc.